Hi! 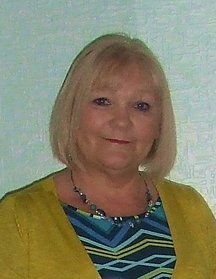 I'm Sue Bailey and I'm a writer and business owner from South Yorkshire. I love to write articles about a very varied range of subjects. Sue Bailey is a freelance writer from South Yorkshire. She writes articles on many subjects. Sue Bailey has given up her day job to concentrate on her writing career and self employed business interests. Recently Sue Bailey has become self-employed as the Owner/Operator of 101 Friends for Every Dog - South Yorkshire in addition to her writing career. A home boarding club for dogs, 101 Friends offers a welcome alternative to boarding kennels. Sue is always on the lookout for dog carers and clients wishing to place their dogs in a happy and secure environment, thereby giving them peace of mind whilst on holiday. Owner/Operator of 101 Friends for Every Dog - South Yorkshire; a home boarding club for dogs which offers a welcome alternative to boarding kennels. Your dog is looked after in the home of one of our trained and experienced care in a safe and happy environment, giving you the peace of mind to enjoy a worry free holiday, 101 Friends is always on the lookout for new carers and clients. Writing and researching health and beauty, alternative medicine, complementary therapy, childcare, cookery and household articles. Reading, walking and holidays abroad.